At the very first moment we decide to turn to God, our heart begins to be warmed by the action of the Holy Spirit. Our heart is kindled with the divine flame that will transform us. This flame will consume us completely, and will melt everything of a fallen nature within us. Once this flame of divine love has been actualized within our heart, we must do nothing that would allow it to be extinguished. We must cooperate with the Fire of God, and let it completely consume us. We must let all our effort be focused on this spiritual transformation that begins in our heart. We must not let anything take center stage over this action by God that is meant to save us. From a little flame, this fire will burn in our heart, and nothing of our fallen nature will be able to withstand it. This flame will transform our whole being, for the action of the Holy Spirit will transport us into God’s Kingdom, the Kingdom which resides within. 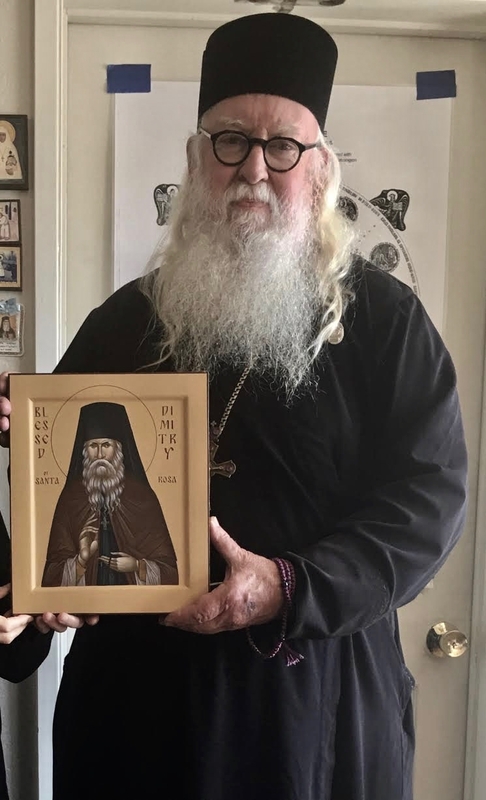 Photo: An icon of Blessed Dimitry of Santa Rosa, my spiritual father of blessed memory. The icon was painted by Shayne John Swenson. Icon of the Most Holy Theotokos of Areovindus (“Fiery Vision”). Father, is that the recently reposed who was a military chaplain and whose son now serves in Santa Rosa? I ask because I believe he was born in Shenandoah PA, which is in my neck of the woods. No, Blessed Dimitry was from Russia, and had escaped from Valaam Monastery as the Red Army was advancing. 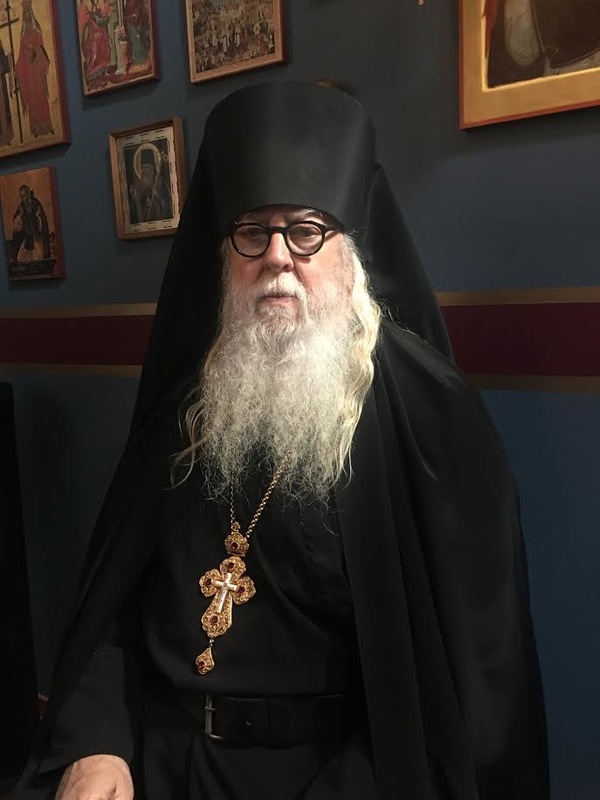 You are referring to Archpriest Michael Margitich, a dear man whom I knew, the father of Archpriest Lawrence Margitich. 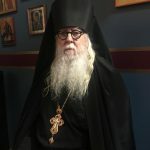 Father Michael was a gifted preacher, and a man of wondrous love. May his memory be eternal. Father Lawrence and his wonderful wife, Matushka Ann, are dear friends of mine. Matushka Ann is one of the great iconographers of our day, and painted all the icons on our monastery’s iconostasis. This post resonates with me for 2 reasons; I’ve recently denounced my atheistic philosophy and turned to god, and I also repair fireplaces for a living. I appreciate the fire metaphor and I pray God will help kindle the new found flame in my heart. Thank you for all you do, Father and I hope to visit the Vashon monastery soon!